Pro-Follow Update: Joe Bianco and his crew have passed the plumbing, electric and framing inspection on the basement remodel. The guys will be hanging and finishing drywall the next few days and hope to be finished by Sunday. I’m still keeping tabs on the in-law addition with Steve Wartman. His guys are painting and tackling the odds-and-ends associated with completing the project. Look for final pictures when they’re finished. 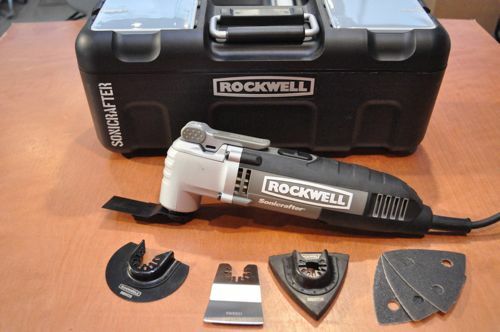 About a month ago I shared a first look at the all new Rockwell Sonicrafter X2, and I think it’s an impressive oscillating multi-tool (OMT). It has one of the most powerful motors currently available, tool-free accessory changes, universal accessory fit and a waterproof hard case with storage. Rockwell recognizes that not everyone needs all these “bells and whistles” so they’ve also introduced two other models at lower price points. 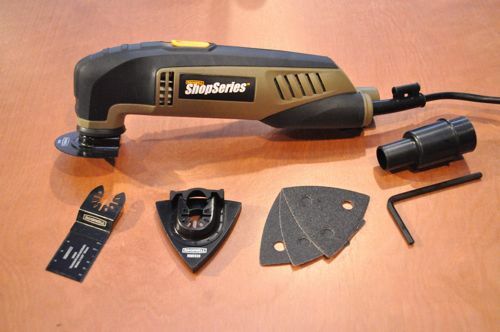 The good news is that both the Shopseries Sonictool and Sonicrafter feature the Universal Fit System that allow these tools to take advantage of competitor’s accessories. Here’s how the three units compare. 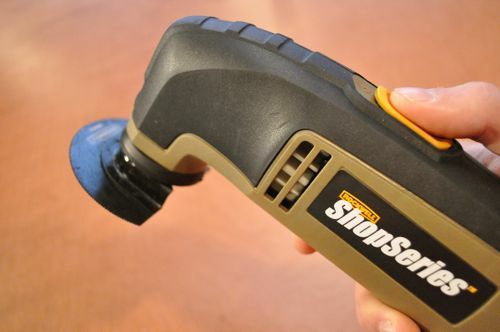 The Sonictool is the economy model, and it looks to be a direct competitor with SKIL’s 2.0 Amp OMT which also features a dust port. However, at $30 cheaper, Rockwell blows SKIL out of the water. 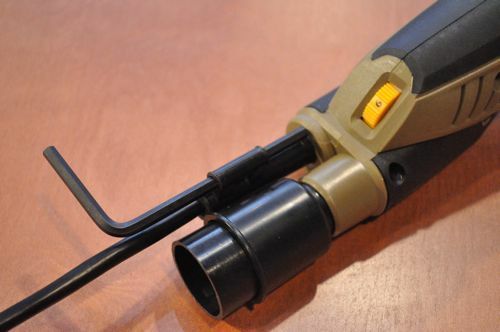 Aside from the lower amp motor, the main disadvantage of the Sonictool is the lack of tool-free accessory changes. Rockwell incorporated a holder for the Allen wrench near the dust port for blade changes. 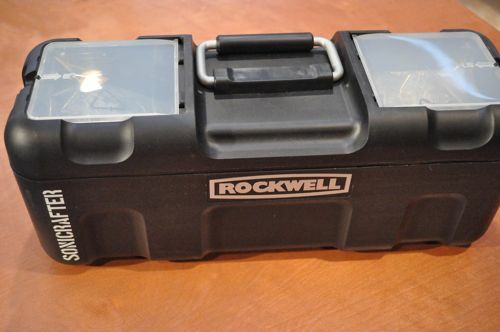 Again, this unit is compatible with Rockwell accessories and every competitor’s accessories too. The Sonicrafter is very similar to its big brother the Sonicrafter X2. They both feature the same case, Hyperlock tool-free accessory changes, Universal accessory fit, and nearly identical specifications. The Sonicrafter is a great option if you want to save a few bucks, and you can sacrifice a little power. I expect this generation of the Sonicrafter to be very popular. If these OMT’s look like something you’d be interested in owning, keep an eye on our Rewards Center. For anyone new to OPC, create a free account and start earning Project Points that you can use to bid on items like these. Read all the details here. Love that this is offered in your Rewards Center! Seems like a nice product line. It’s nice when industries can play nice enough to make something like “universal accessory” a reality. Economically, I wonder why they do that, but I am thankful. I’ll have to check it out. I’d like to have a cord version of one of these to go with my battery powered Milwaukee. I dunno. I don’t get why anyone would buy the middle version when the top of the line model is only an extra 30 bones. Exactly the comment I was going to make. $30 for extra power and more accessories. Seems like a no brainer. Depending on where you are in life, 30 bones can make a huge difference in your budget. Or perhaps you’re an apartment dweller and don’t need all the accessories. I was so happy to see this offered in the rewards. As I mentioned on the review post of the Rockwell X2 the builder put the baseboards on then tiled so the baseboards are below the tile! They are short and need to be replaced and this is just the tool to cut them out! How do these work as just pure sanders? 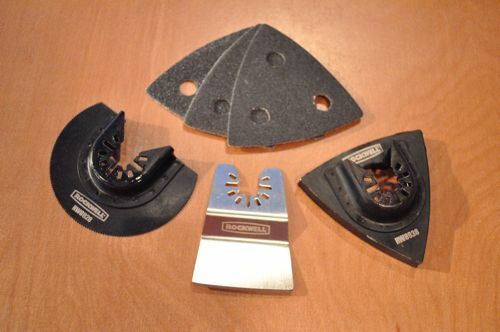 I know they’re bought for more than just that but would someone also need orbital sanders or something for heavy sanding? Great question Trebor. We’ve actually had a disappointing experience with OMT’s in general for sanding for extended periods of time. We’ve found that the sanding pads melt to the sanding block. I haven’t tried it out with the new Rockwell OMT’s yet. That’ll definitely be a part of future reviews. Nice that these also allow use of other brand’s attachments, and also tool less attachment on the pricier models.